Are you a Borderlands 2 fan? 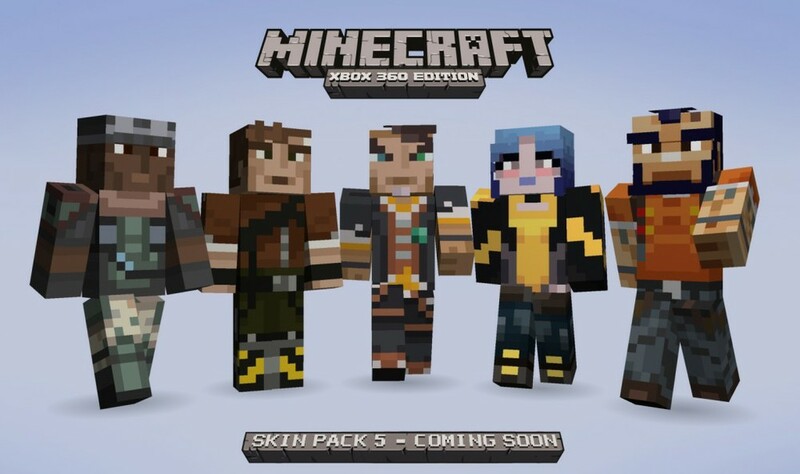 If you are, this will interest you - the next MCX360 skin pack is LOADED with BL2 characters! Get your craft on with Roland, Axton, Handsome Jack, Maya, and Salvador! It is being released today for only 160MSP! resources (textures, BGMs, and so on) and world data. The build height will go from 128 to 256 and they will be adding the Jungle biome. The update will also add cocoa beans, jungle woods, chiselled stone brick, redstone lamps, iron golems, ocelots and cats. They are also making it so that slabs can be placed upside down and corner stairs will automatically change shape.